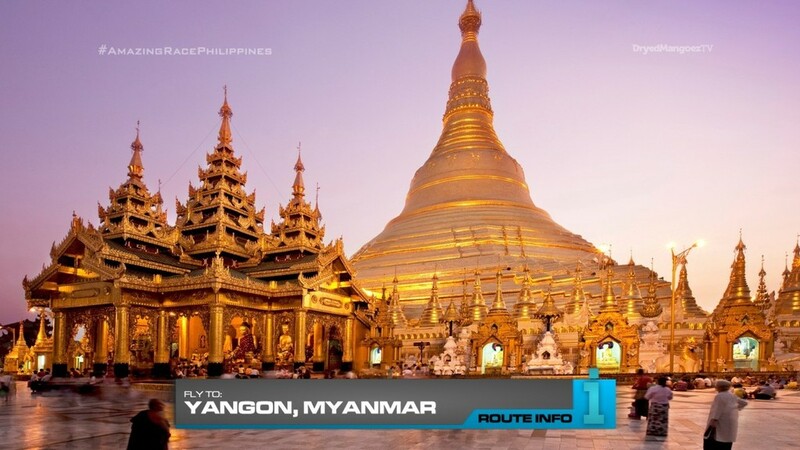 For the first time in Amazing Race franchise history, teams will be flying to Myanmar! Teams will fly from Auckland to Yangon, Myanmar via Singapore and arrive at 9:20am. 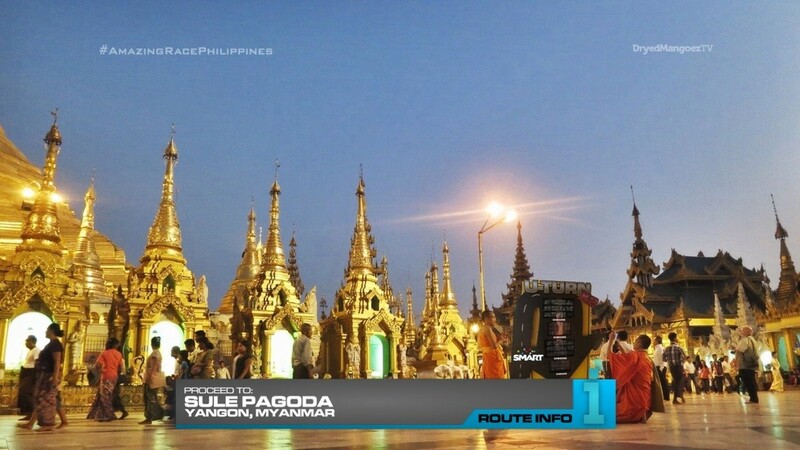 In Yangon, teams must make their way to the Sule Pagoda. Here, teams will find a Forced BLIND! 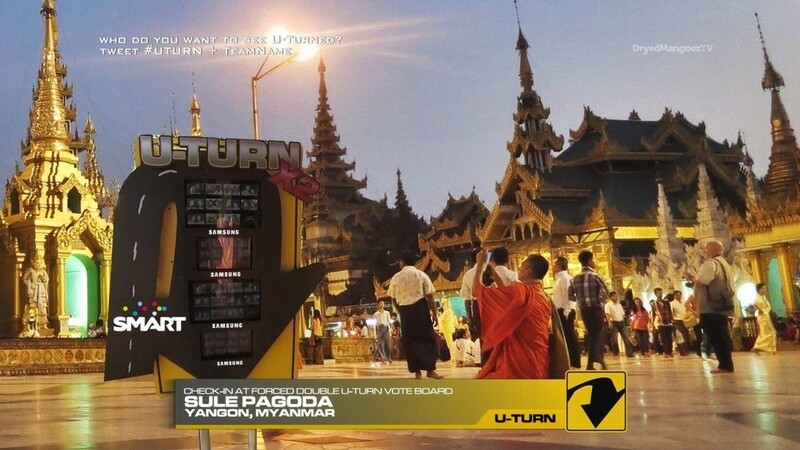 Double U-Turn Vote Board! 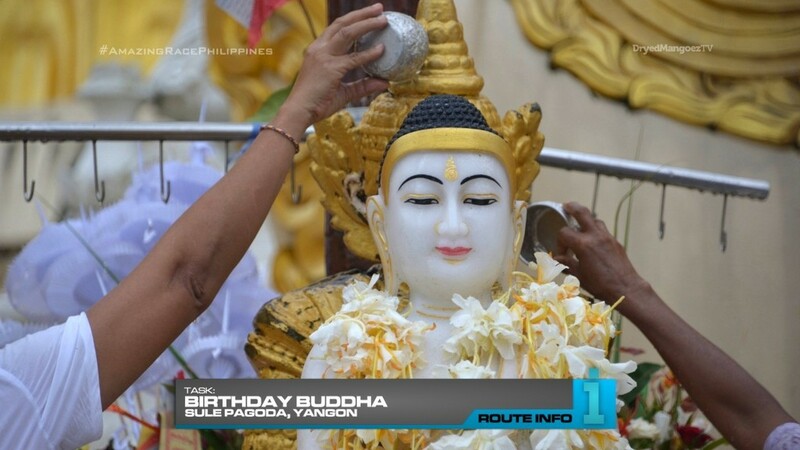 After voting for their U-Turn teams, teams must take part in a traditional prayer where they must pour water over the Buddha representing their birthday. They will then be given their next clue. And teams will not be staying in Yangon long! 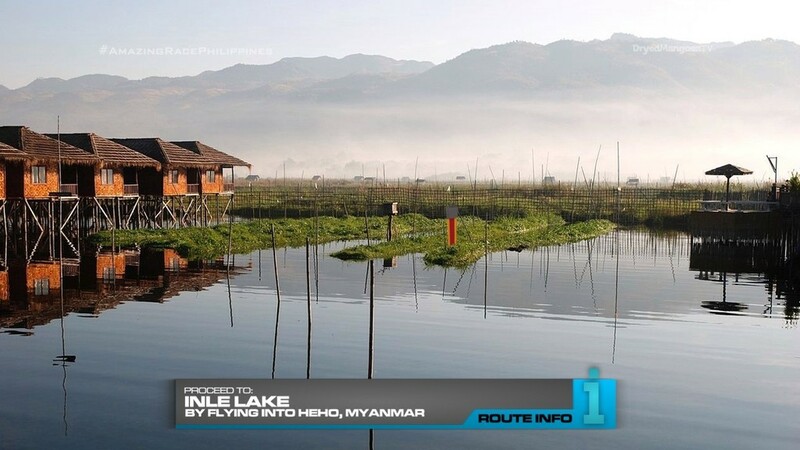 They must now fly to Heho and take a taxi to Inle Lake. 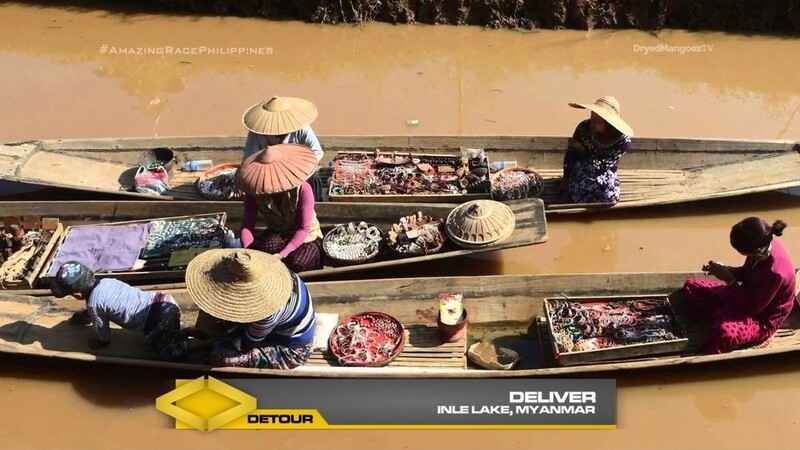 At Inle Lake, teams will find the Detour: Collect or Deliver. 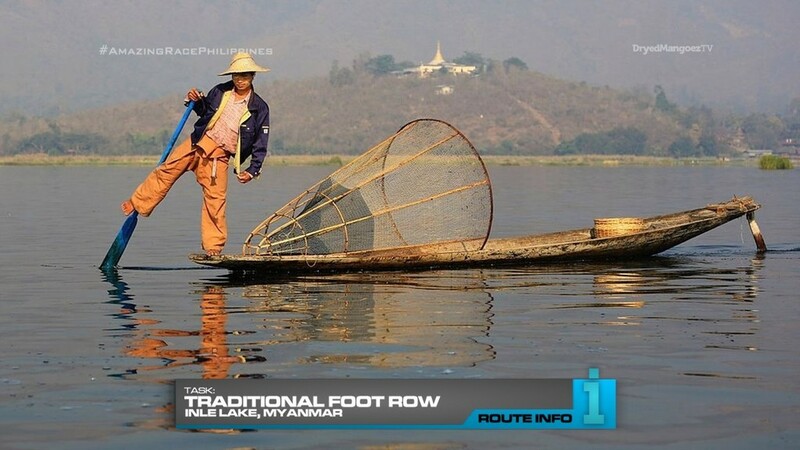 For both Detours, teams must row their boats using the traditional way with the leg. 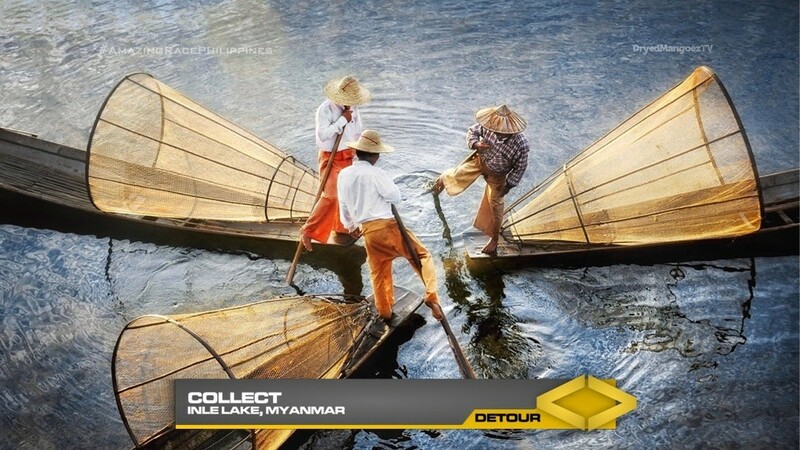 In Collect, teams must row along the lake and find three fish traps in the area tagged with their team names. Once they have all three, they will receive their next clue. In Deliver, teams must pick up a box of supplies which they must deliver from the dock to three different “workshops” along the lake. They will be given receipts which they can exchange for their next clue. 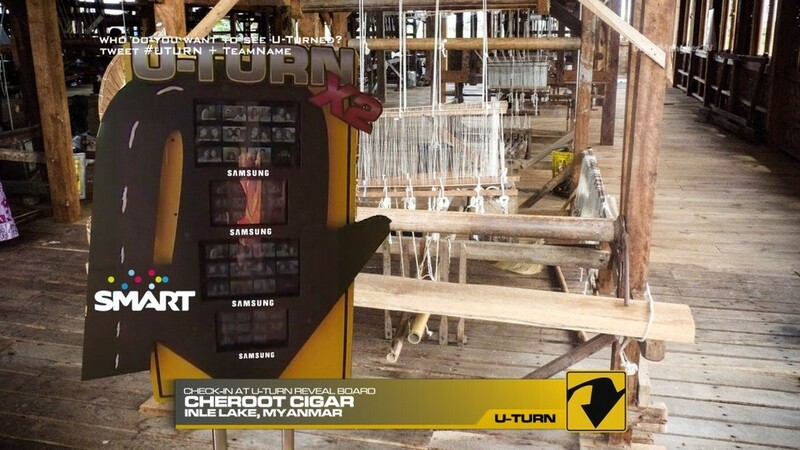 Teams must now find the Cheroot Cigar Restaurant where they will find the Forced Blind Double U-Turn Reveal Board. And after checking-in, teams will find the Road Block: Who can roll with it? 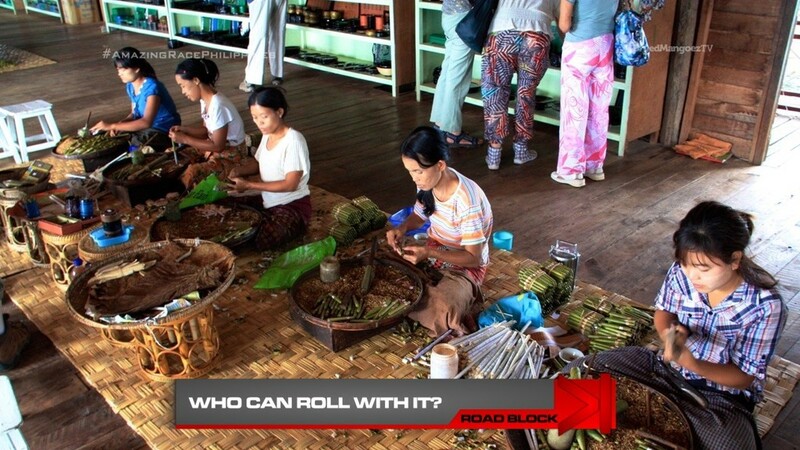 For this Road Block, teams will make a box of cigars. 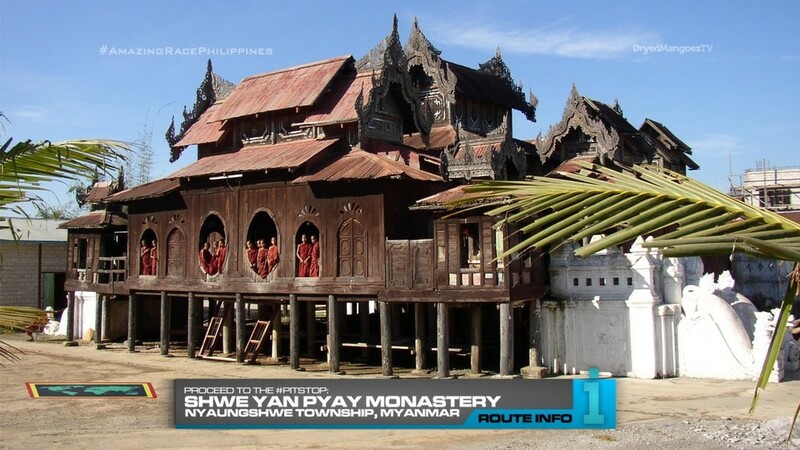 After completing the Road Block, teams can now make their way to the Shew Yan Pyay Monastery in Nyaungshwe Township, the Pit Stop for this Leg of the Race. The last team to check-in here… WILL NOT be eliminated. We’ve already had a refresher on what constitutes a SuperLeg. This here is NOT a SuperLeg. It’s a regular Leg with a virtual/Zero-Hour Pit Stop. And it’s a Non-Elimination Leg. It is, of course, possible to have an elimination Leg with a Zero-Hour Pit Stop (as has happened on TARPHDME before). But here, it’s a good spot for a Non-Elimination. This Leg is a very Tonle Sap-ish Leg. Floating markets and homes and fishing. It’s a recycled Leg. But at least it’s a brand-new, first on TAR country. Still, the Detour should be interesting. The rowing looks fascinating and it is likely to cause much trouble for the teams. Especially since they’ll spend most of the Leg trying to do it. The Road Block is recycled from the TARPHDME6 Cuba Leg. But it’s a feature here in Inle Lake, so why not. Again, I’m sure there’s plenty other stuff to do here. But as it is here, it looks like a pretty good Leg with great competition.